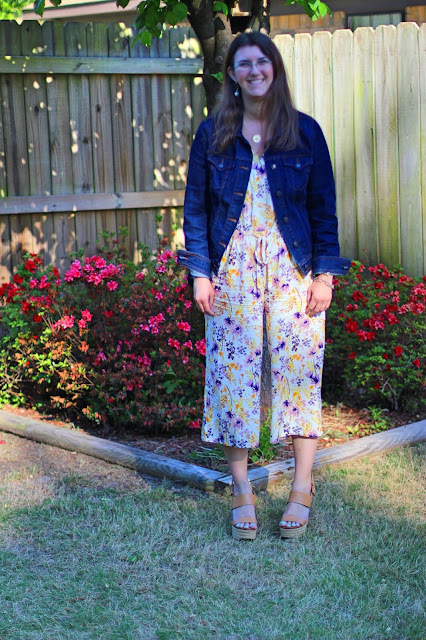 This floral jumpsuit from Old Navy is Ah-mazing! 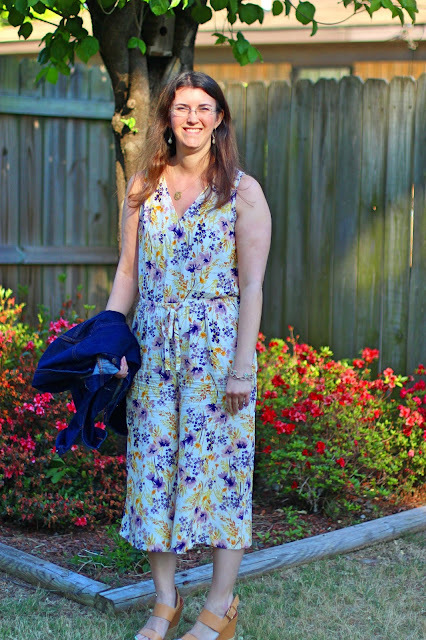 It's so comfy and the floral print is so springy! It feels like you're wearing your pajamas all day! 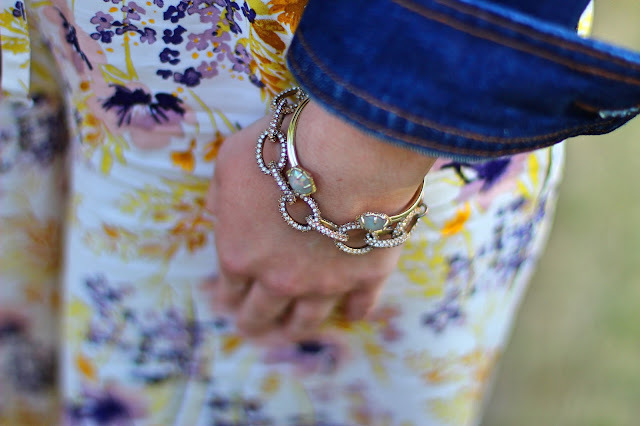 I paired mine with a jean jacket because it was cool outside and wedges. My wedges are from last year but I linked a couple of similar pairs below. Thanks so much for stopping by! I hope y'all have a great weekend! I'm heading to Athens tomorrow for G-Day!